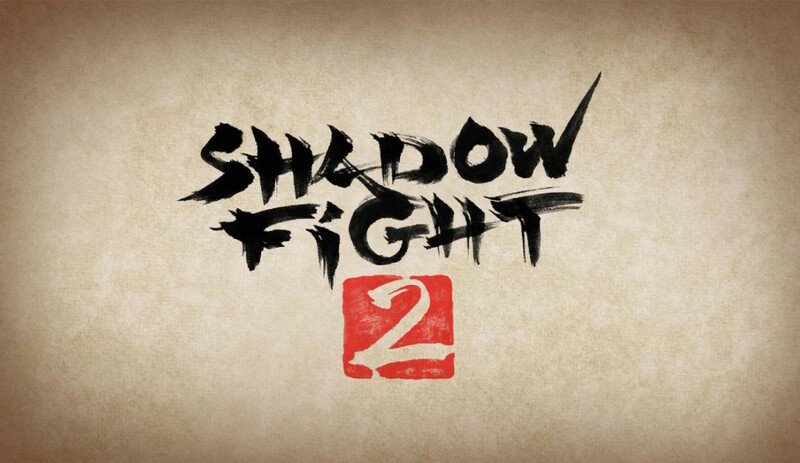 Shadow Fight 2 for the Nintendo Switch is a part of a game originally released for mobile devices. Developer Nekki has delivered a pretty solidly built fighting game with a unique visual aesthetic. Unfortunately, it’s not without its problems. An unnamed warrior (it’s you) has risen to the absolute top of the fighting world. He has no peers, and this lack of challenge has made him restless. His search for a fulfilling battle leads to the Gate of Shadows, which he opens against the advice of basically everyone. Seven demons are released into the world, in the process tearing away the warrior’s flesh and blood body, leaving him only a walking shadow. The warrior is now cursed to walk the world as a shadow, defeating the demons he has released in order. It’s a pretty formulaic story; proud warrior brought low by hubris, fights for redemption to release himself from a curse. That doesn’t mean it’s not interesting. Along the way you’ll met several characters who help Shadow on his journey, and the narrative of the story is solid, if not spectacular. 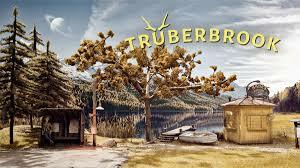 The story isn’t a reason to play the game all its own, but it is well-executed enough to create a more engrossing game experience. 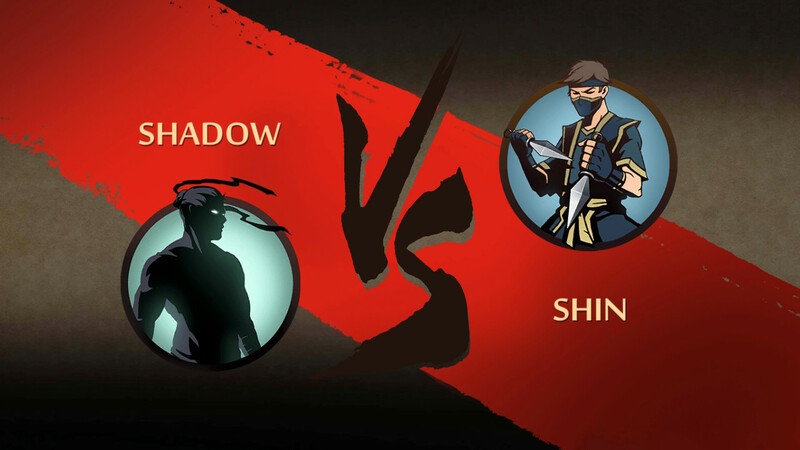 Shadow Fight 2’s fighting mechanics are pretty solid. Combos aren’t terribly complicated, but the strategy of the game is. The game’s AI is pretty good at playing keep away, making this a game of patience as much as violence. 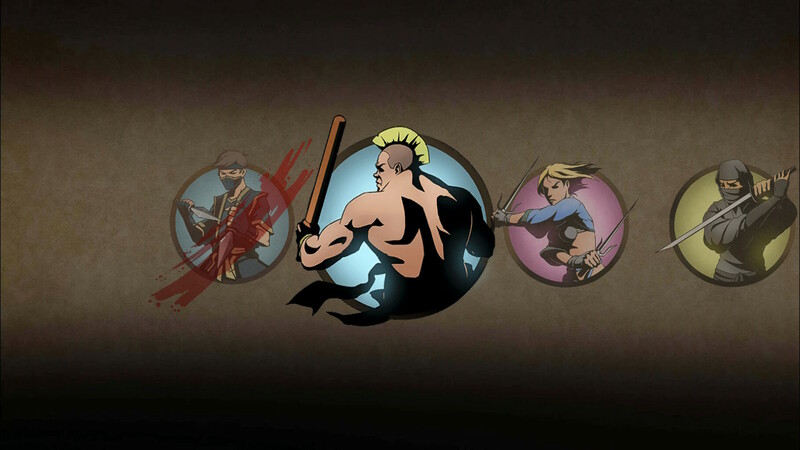 Fighting consists pretty much of kick, weapon attack, block, and movement. You almost never want to be the one who makes the first move, as it’s far more advantageous to wait for an opponent to miss and the counterattack. This can lead to some pretty long fights, though, and rounds only go for 99 seconds. While the AI can lead to some pacing problems (if you consider a conservative strategy a pacing problem, anyway. I suppose not everyone will), the biggest problem with the battle system is the character models. Every character is portrayed in shadow; it’s a pretty cool visual (for a while, anyway; more on that later), but it leads to some issues in the actual gameplay. I had trouble determining what exactly the hit boxes were, and I think that problem stems from the characters being all-silhouette. When a character is bent over or contorted, it can be hard to tell what it is you’re swinging at. It seemed like there were at least two or three times per match where I thought I should have hit something because I hit the same area where I had gotten hits before but no hit was registered. It was kind of a frustrating experience. 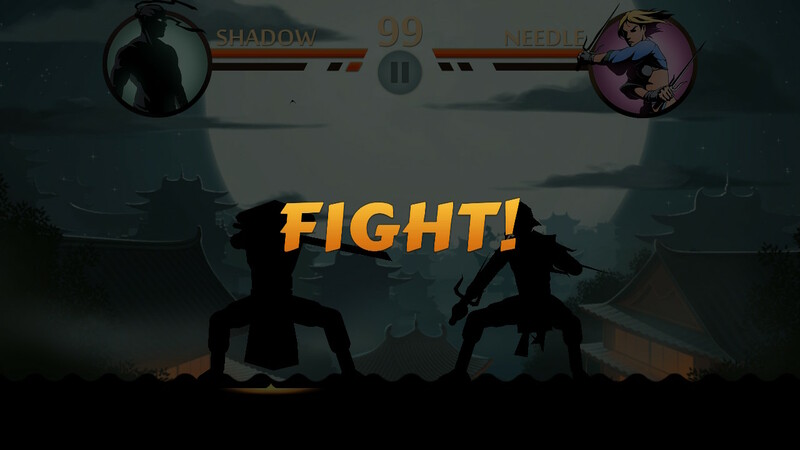 Like a lot of games nowadays, Shadow Fight 2 integrates a number of RPG elements into its gameplay. 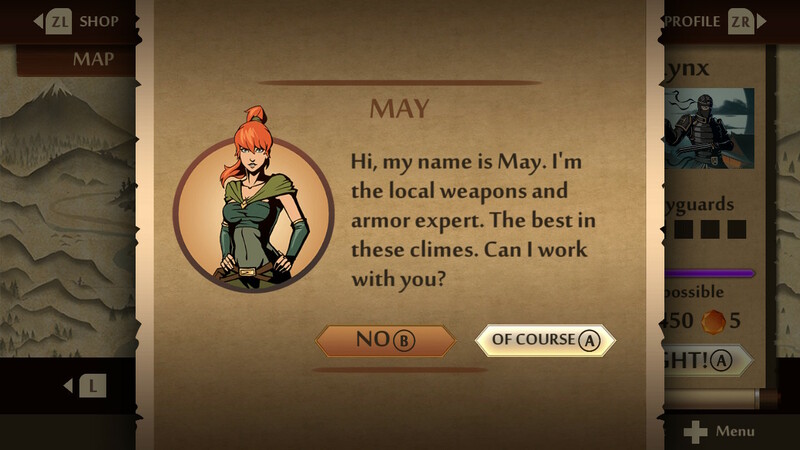 First, completing fights grants you three things; experience, money, and gems. Experience is automatically applied, and like every game with experience points, when you gain enough you grow a level. Levelling up grants you new combo moves and skills that activate if you hit different requirements in battle. Money and gems are used to buy and upgrade new equipment. You can buy weapons, armor, and helmets. Weapons give you a stronger attack, while armor and helmets increase your defense, making you harder to kill. Eventually you unlock the ability to upgrade your equipment, making it more useful. Some pieces of equipment have skills attached that activate when they are equipped, but they’re almost never useful enough to forgo the extra stat bonuses you get from equipping an item from a higher tier of value. It’s about as basic as RPG elements grafted onto another gaming genre gets, but it’s still a pretty cool facet of the game. If you’re having a tough time getting past a fight, grinding to get a new weapon or armor makes a huge difference when you go back for the rematch. It’s nice that new equipment actually helps, but it does introduce another problem. Sometimes you have to grind for a bit. You never have to grind for very long to get new equipment or to be able to afford an upgrade, but you do have to grind for a while after every story-related fight. The game is set up in seven different sections; one for each demon released in the intro. Each demon has a few lackeys you have to beat before you can fight them and move to the next area. There are tournaments, a survival mode, and duels you can fight to grind a little, but you have to grind between every. Single. Fight. It creates a very slow-moving story, and the story, while solid, isn’t all that deep to begin with. It can get tiring pretty quickly. The game’s graphics are very, very good for a mobile port. Character models and backgrounds alike are sharply detailed and attractive. There are a number of different fighting grounds that keep the visuals interesting, which is good because while the character models are ridiculously smoothly animated, they’re all in silhouette. Every. Single. One. You get some cool character portraits in the before-match smack-talk, but once the fight begins everyone is a shadow. At first I was afraid I wouldn’t be able to tell the difference between my character and my opponent, but that fear disappeared pretty quickly. There is an arrow under your fight to let you know where you are, which helps. It just gets visually very boring looking at essentially two of the same character fight after fight after fight. 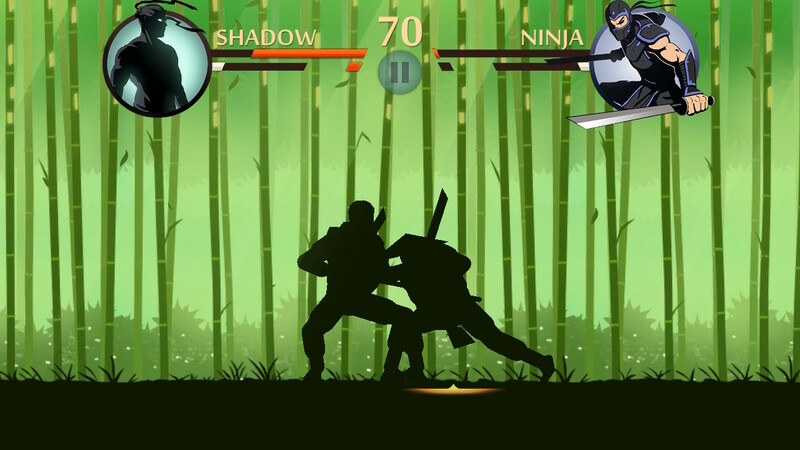 Shadow Fight 2’s audio track is nicely designed. The fight theme and overall sound of the game is rock-inspired with a lot of heavy, up-tempo guitars. 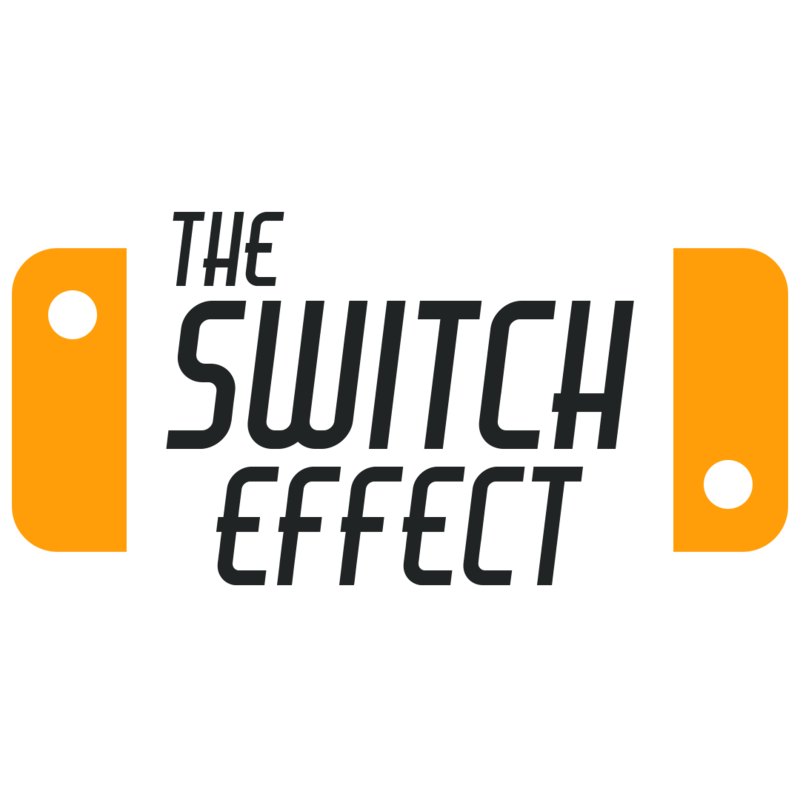 The sound effects are well-designed as well, and, more importantly, they are well-timed. Hearing the swipe of a knife or sword helps time when an attack is coming, helping to time whether or not a counterattack is advisable. 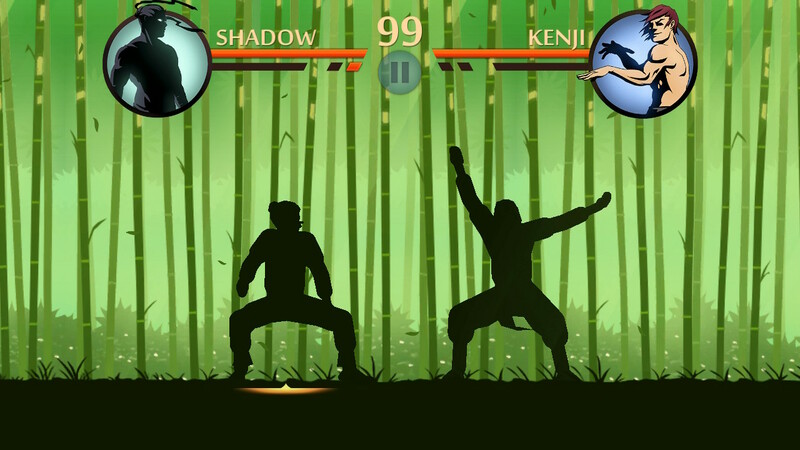 Shadow Fight 2 has no touch or motion controls, so you can play it docked or undocked on your Switch as you prefer. I can’t really find any reason to recommend playing it one way over the other, so stick to your personal preference. I prefer playing my Switch undocked, so I went with that. 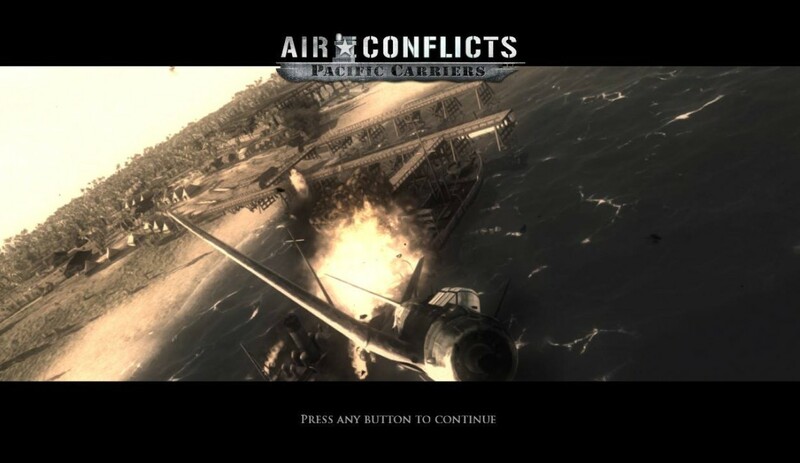 TL;DR: Solid enough but sometimes seemingly inconsistent gameplay foundation combined with a unique but monotonous visual motif makes for a mixed bag of a game.